Kevin Frayer/Getty ImagesAn ethnic Uyghur woman holds her child in a local shop on June 28, 2017. China’s foreign ministry told the lawmakers, which include Sen. Marco Rubio of Florida, to mind their own business and focus on domestic US affairs. Lawmakers in Congress plan to issue a bipartisan legislation to punish China over its persecution of the Uighurs, a majority-Muslim ethnic minority populated in the country’s west. Beijing subjects the Uighurs to an unprecedented amount of surveillance in their home region of Xinjiang. China has reportedly also tried to gather personal information – like marriage certificates and drivers licenses – from the Uighur diaspora and threatening their families back at home if they did not provide it. The proposed legislation, slated to be introduced on Wednesday, lays out a variety of measures designed to call out and curb China’s human rights abuses against the Uighurs. 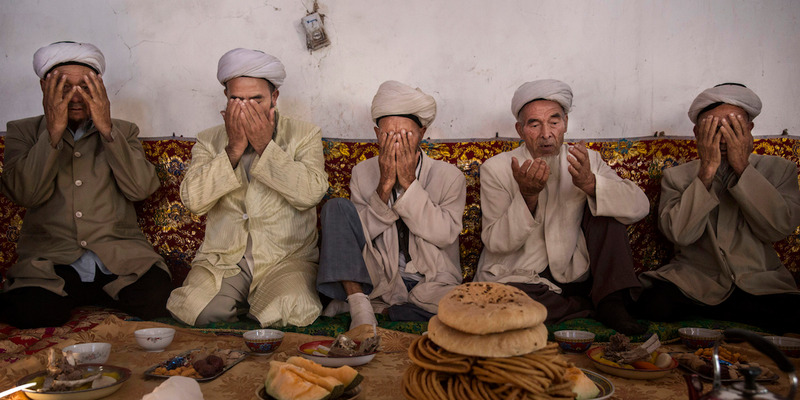 Kevin Frayer/GettyUighur men pray before a meal in Turpan, Xinjiang, in September 2016. 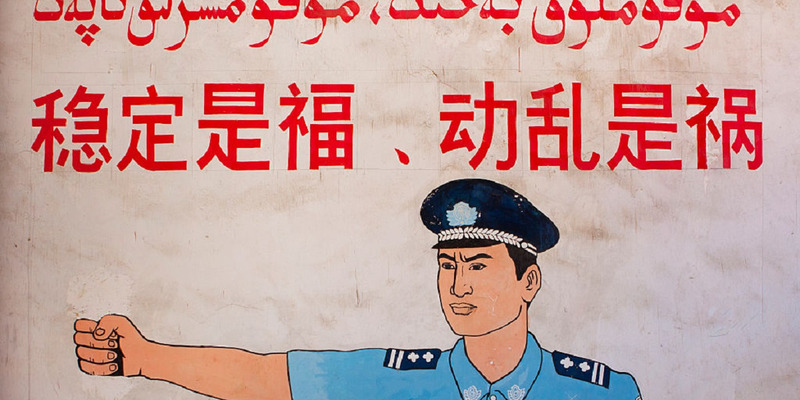 Condemn China’s persecutions of Uighurs. Call for a “special coordinator” of US policy on the Uighur issue. Beijing on Thursday slammed the congressmen for the bill, accusing them of an “incomprehensible sense of superiority” and of meddling with China’s domestic politics. 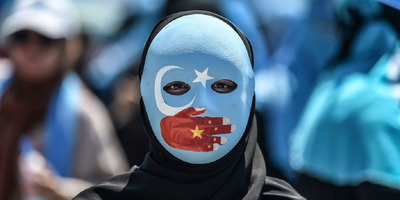 OZAN KOSE/AFP/Getty ImagesA demonstrator wearing a mask painted with the colours of the flag of East Turkestan (or Xinjiang) and the Chinese flag in 2009. After UN human rights chief Michelle Bachelet said she received credible reports that China had detained up to 1 million Uighurs this summer, Beijing told her to back off and respect the country’s sovereignty. Many Muslim countries have avoided criticising China over the Uighur issue, with experts saying that it’s because countries fear economic retribution from China or don’t want to draw attention to their own human rights problems.